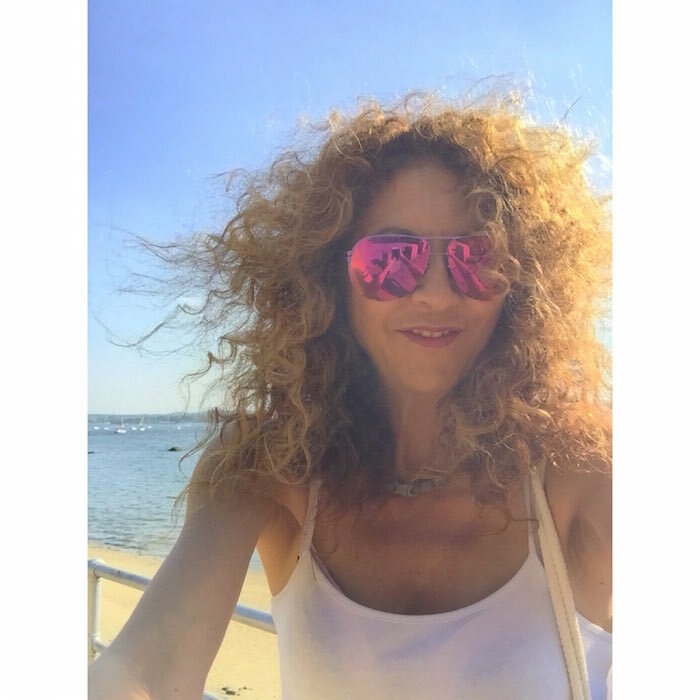 BEAUTY RESOLUTIONS: It’s hot out alright, and the get out and mingle mood is on! Keeping your the clear + bright without too much shine in this hot weather is on top of my list. In the past couple of months, I’ve been alternating skin cleansers when the weather became suddenly too hot. SUMMER BEAUTY: Here are my fave 3 to use now: all have a fresh scent of clean- not makeup, keep your skin clear and bright. Light enough to use during higher temperature days, and a perfect way to either freshen up mid day or after a long night! 1. INSTANT FRESH: An afternoon refresh or late night quick 1 step cleanse, this gem requires no water! Much like a toner, with clean up in a hurry without rinsing. 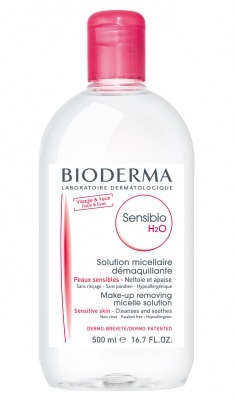 BIODERMA SENSIBIO H2O cleanses and removes make-up from the face and eyes, while it soothes and clears up irritated skin. Instant freshness – plus, it removes water-resistant makeup. Alcohol free, and it feels like it cleans without leaving a film. At Ricky’s. 2. 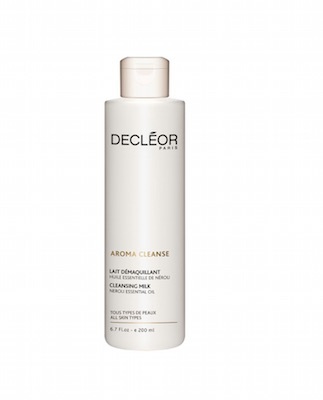 MOISTURIZED AROMAMATIC quick cleanse: The DECLEOR PARIS AROMA CLEANSE ESSENTIAL CLEANSING MILK has a luxurious light and silky texture with a delicious fragrance. Thanks to a formula rich in neroli essential oil and sweet almond oil, your skin feels instantly nourished. While this product also removes make-up, the is a creamy texture leaves your skin moisturized – and sometimes, I reach for the Bioderma to wipe off some excess. No parabens, no mineral oil, and absolutely no dyes. 3. 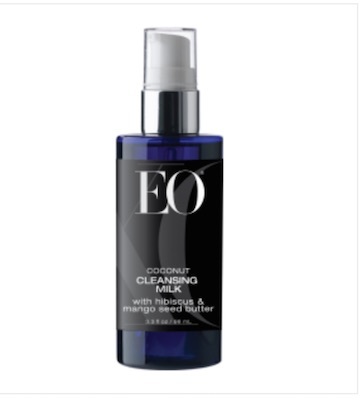 COCONUT CLEANSING: For all you the coco lovers, the aromatic blend in EO COCONUT CLEANSING MILK helps clean and mosturize skin while giving you softer skin. Using Tsubaki Oil, this formula targets helping improve hydration, and soothing dry skin, which is perfect after being out in the sun ! Rich with botanical oils including Jojoba, Argan, and Coconut plus Mango Seed Butter, Cocoa Butter, this product is all about soft skin. The added bonus is the amazing fragrance uplifting the senses: additional essential oils in the formula include Rose,Lavender, Patchouli, Rosemary, Vetiver, and Ylang Ylang! uplifting the senses in this cleanser. Are you feeling the aaaaah yet? You can’t sleep with it though, this one needs a rinse. BEAUTY RESOLUTIONS: 3 SUMMER FRESH FACE CLEANSERS by Brigitte Segura. tumblr blogs: fdmloves || FashionDailyMag | fdmLOVESmens | fdmLOVESfashion | fdmlovesflowers | fdmlovesmusic.